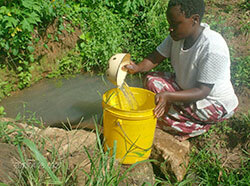 I'm raising funds to help bring water to villages in various countries like Africa and India. Have you ever had your water shut off just for a day? Its incredible the number of times you find yourself reaching for the tap and not being able to get water. Well, nearly 1 Billion people don't have access to clean water 24/7. They end up in a cycle of illness, and poverty. I set a $30,000 goal because I have over 3000 friends here. And if we just put in $10 bucks, we've got our goal! Water is the life blood of everything on this planet! I hope you can donate $10 at least! Love you guys!